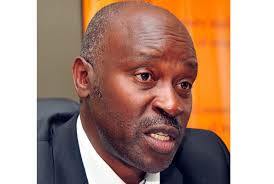 Kyambogo University vice chancellor Prof Eli Katunguka. File photo. As university students write their final examinations, many students are missing out on their examinations over unpaid dues. But some university administrators have unearthed sports betting as one of the evils, causing some students to default remitting school fees. Sports betting have become unpopular gaming in the city suburbs and towns of Ugandans. Richard Kintu, a former student of Kyambogo University, admits that he registered for a dead semester in 2014, after betting his tuition fees at the betting sports centre, in Banda near the university. “I was in my final year, when I heard my roommate celebrating that he had won Shs1m after betting the English premier League. Chelsea had beaten Arsenal and he was spot on. I also was prompted to bet the next game but unfortunately, I lost it,” Kintu narrates. Kintu says he betted his school fees, a week to examination period. “I tried to get the money but failed. I never graduated with my colleagues,” he lamented. To many students addicted to gaming, even after losing, they continued injecting money in betting. And this is how they inject the school fees into betting. At most universities, many sports betting centres are established near them, which is against the law. Some of the famous sports betting centres include Premier Bet, Goal sports betting, Gemex sports betting King Sports betting, Victory sports betting, Imperial sports betting, Royal sports betting, Best sports betting and Bingo sports betting. Kyambogo University vice chancellor Prof. Eli Katunguka at a press conference held at the university’s main campus said over 1,000 school fees defaulters accessed examination rooms, after forging examination clearance cards. He blamed the vice on sports betting, arguing that the school fees defaulters spent their money on gambling. Failure to pay tuition fees, Kyambogo University accumulated domestic arrears and has unfunded projects of about sh50billion. Also at Makerere, Kampala International University and Uganda Christian University, Mukono, the gaming habit has not spared some students. At Makerere University for instance, even girls are involved in betting. One senior lecturer, who preferred not to be mentioned, says he normally observes girls involved in betting. “They are normally involved in betting when the new semester has started. I have advised them, but many have refused to drop it,” a lecturer explains. Kampala International University embarked on wiping out betting among its students, by introducing entrepreneurship programmes. Alex Businge, the Public Relations Officer of the university, lists down Start Haub and Wadhiwani programmes, which are designed to make students useful after school career. “We discourage sports betting and these entrepreneur programmes are not part of the school syllabus,” Businge explains. To save the situation, Government has moved in, to close some sports betting centres, which are breaching the laws. Lotteries and Gaming Regulatory Board (LGRB), the government betting regulatory body is closing illegal sports betting centres across the country. In Kampala city and Wakiso district, some sports betting centres operating in areas of Gayaza Kisaasi, Entebbe, Kajjansi, Lweza Zzana and Namasumba. Other areas are Namasumba, Mpererwe and Kalerwe. LGRB explains that they are closing some of them because they are operate with license and others allow individual below 25 years, including university students to enter their premises. LGRB works with Police to impound the machines and other items. The impounded machines are taken to the nearby Police stations. Jonathan Kyeyune, the head of Public and Corporate Affairs, LGRB explains that the law only allows Ugandans above 25 years to enter the sports betting centres. “When visit these betting centres, we find people who are below the required age,” he says. In 2016, Parliament established LGRB as a corporate body to enforce the law, regulating the conduct of lotteries, gaming, betting and casinos. Under the law, LGRB also licenses the betting industry. This is done to protect Ugandans from the adverse effects of betting and gaming in the country.